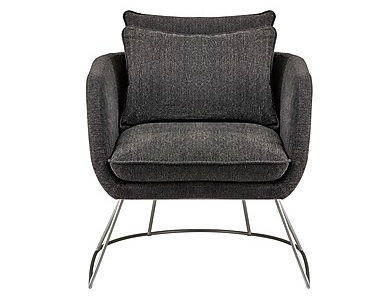 A simple yet comfortable accent chair, the Stanley has a refined design. Finished off with a small lumbar pillow, a brushed steal metal frame, and an over soft seat. Available only in select colors.